After the exhilarating period of the FIFA Worldcup in Brazil, the world has been short of good news, as the world stage has been dominated by the resurgence of old, as well as new wars, and its accompanying violence, radicalism and death of innocent civilians. This year we remember 100 years of WWI, 75 years of WWII and 25 years of the Berlin wall’s fall. I grew up believing that contemporary world leaders had learned enough lessons from the atrocities and devastation of two world wars, to never allow such a disproportionate disaster to ever happen again. I am however very concerned with the latest developments in Ukraine, Israel and Gaza, Syria, Iraq, Nigeria and many other places, as there hasn’t been any concrete sign of an approaching resolution to any of these conflicts. Instead, I see an intricate and dangerous game being played amongst world leaders, where the economic interests by far surpass any diplomacy based on moral or ethical reasoning that could compel leaders to take actions towards reproaching or attempting to end wars. Global peace is hostage to the interests of global trade, which is hostage to the interests of dictators, mercenary soldiers, fanatic rebels and terrorists. There are many vested interests behind the scenes, some of them being relatively reasonable, but what scares me the most is the absence of a leadership which is also based on morals and virtues, from any so-called global leader or superpower. Have I watched too many Hollywood movies, or am I incredibly naive to expect that a new Churchill, Mandela or Ghandi would emerge and save us all from all this insanity that is going on? I can’t but be disillusioned about the performance of current global leaders, who not only don’t portray political savvy nor human values and strength of character. We humans are emotionally touched by events that happen close to us, or that we can relate to our own experiences. Otherwise, although we may feel them as sad or demoralizing, if they are very distant to us, the emotional attachment is much reduced. That is how we ‘get used’ to watching despicable news on TV and feeling somehow detached from it. The war in Ukraine has been the closest war in my existence, not only because it is happening in Europe, where I live, but above all, because as a casualty of this war, the MH17 passengers airplane was shot down by a missile, and amongst its 298 passengers, 194 of the ‘war-victims’ were Dutch citizens. Anyone living in this country, felt like being one of their family members, or of any of the other victims from Malaysian, Australian, New Zealander, German, Philippine, British, Canadian, Indonesian, or Belgian nationality. It didn’t matter where people came from, we all mourned for them. The whole nation is in despair with the losses of entire families, but what made them very angry at first sight, was to watch on TV the total absence of humanity on the crash site. Bodies and luggage became disposal material searched for jewelry, clothing, anything of value…while being heavily guarded by armed separatists impeding the access to rescue, forensic or investigators’ workers. Can there be anything more inhuman and disheartening than this? All that people wanted was the repatriation of the bodies of their beloved ones, which were being used as hostages in the game played between Russia and the West. What followed was a sequence of back and forth fruitless talks between the Dutch and Australian prime ministers, Obama, Putin and whoever wanted to have a say on it. But behind the scenes and against all diplomatic protocol, it was the Malaysian prime minister, who got access to the separatists fighters, and ‘negotiated’ the access to the site, bodies and recovery of the black box. He courageously followed no rules but his guts, and against all odds and high risks, he sent his people to an active war zone, to accomplish a mission. He was successful. The press has hardly given attention to his actions, perhaps because he was discreetly asking no permission to the UN or any superpower leader. He was the ‘Switzerland of Asia’, exercising his rights to be neutral and true to his values, asking no question, no permission, no forgiveness. Is he the new model of world leader? I don’t know, but he commands my respect. He wasted no time and focused on what mattered. As personal and banal as it may seem, yes, I concluded that perhaps I may have indeed watched many Hollywood movies, and that is about time for me to stop expecting for supernatural leaders or heroes to save the world from evil forces. On the realistic side though, it keeps being deeply ingrained in my mind that in every movie, there were always human beliefs, values and morals guiding my heroes’ actions. I will never give up that one. 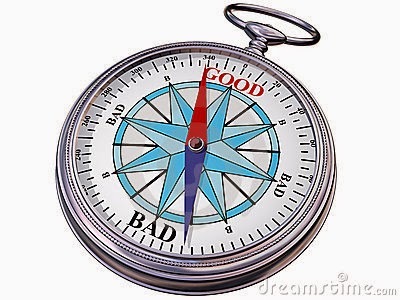 What the world leaders, and we all need, is to never lose sight of our moral compass.